I am lucky to have this café, two mins from my house. After walking past it numerous times, I finally made it to Foxcroft and Ginger for brunch. 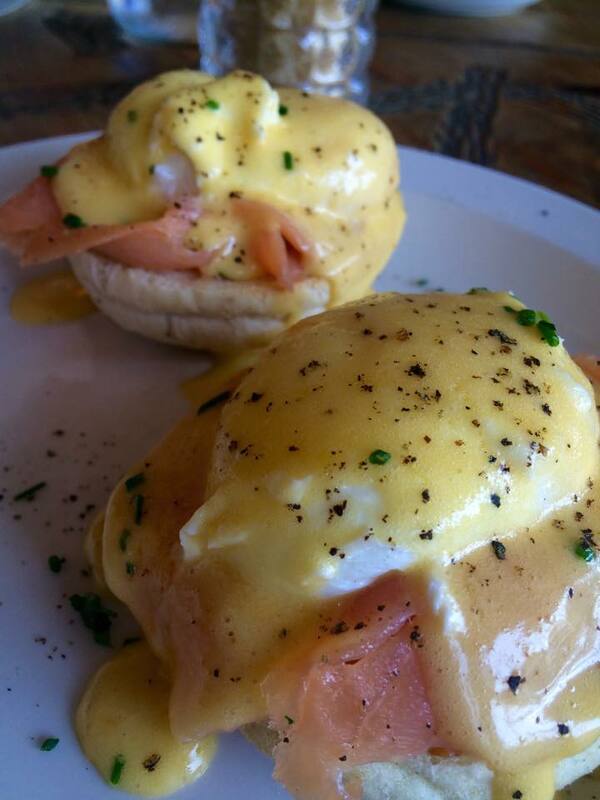 I am always looking for that place that reminds me of home, — brunch is a kiwis favourite meal. As you know how much I “love” eggs – finding that something different is what I aim for. 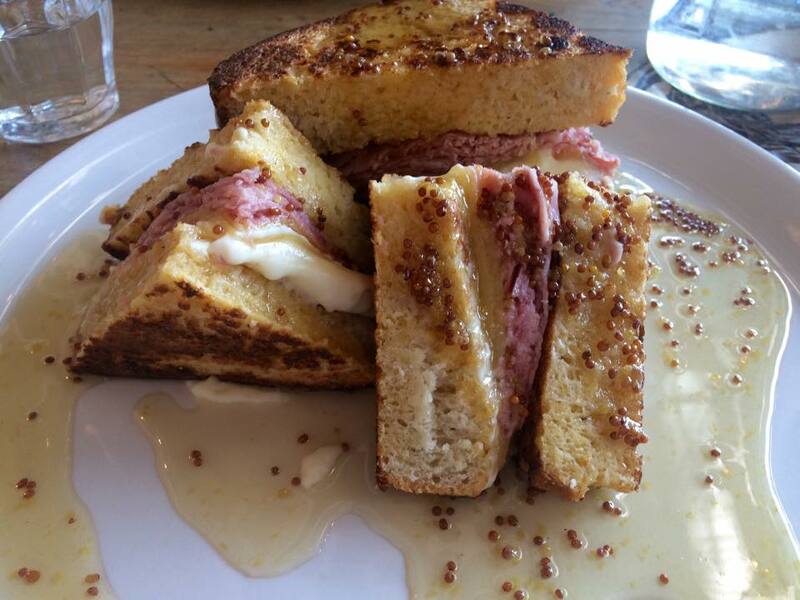 Foxcroft’s savoury French toast is a take on the famous croque monsieur. Drizzled around the plate was a sticky honey mustard dressing. Although very delicious I think it was just a bit too sweet for the dish. 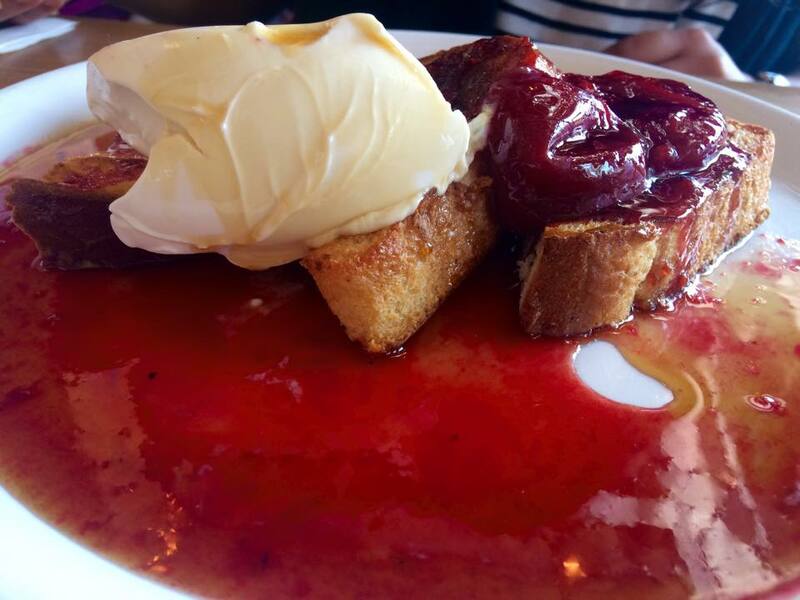 However I loved the thickness of the French toast – I think of which they used a cornbread. If the dish wasn’t so big I would have finished it off. No complaints came from my fellow diners, and from looking at the eggs bene, you could tell that the components were home-made and quality produce. The only thing I would change is their drinks menu – in hopes that they add smoothies or fresh juices to accompany your meal. If the brunch is this good, I will be returning for their pizzas. If you love brunch this place will keep you wanting more!